The Charter of the Forest was sealed 800 years ago today. Its defence of the property-less and of ‘the commons’, means the Right would prefer to ignore it – and progressives need to celebrate and renew it. It is scarcely surprising that the political Right want to ignore the Charter. It is about the economic rights of the property-less, limiting private property rights and rolling back the enclosure of land, returning vast expanses to the commons. It was remarkably subversive Sadly, whereas every school child is taught about the Magna Carta, few hear of the Charter. This entry was posted in Banana republic, Free markets and their discontents, Guest Post, Legal, Politics, Social values, UK on November 6, 2017 by Yves Smith. This is why my ancestors left the Old World … too bad we eventually recreated it in the New World. This property dynamic happened in the Roman Republic with the Gracchi and land for military veterans. The resistance of the “boni” led to the fall of the Republic and the rise of the Empire. I would have thought a post on a specific document would have included a quick link to the document’s text. Like this! No doubt the two surviving originals are hard to read, in their Gothic script and archaic 13th Century proto-English. Even the modernised translation at the link is full of unusual words, which is great if you like expanding your vocabulary. Like me! Who knew that “expediating” a dog meant cutting three claws off a mastiff so it would have a harder time dragging deer down in the forest? The clickable glossary at the link is an abcdearian’s paradise. It is no exaggeration to say that the land ownership structure of Britain today is the result of organised theft. Royalty = a church-endorsed gang, and not only in Britain. I have seen this idea of the attack on the commons in my own family history. One Wiltshire ancestor went to goal for what amounted to taking dead wood in a forest for heating and cooking and I think that this was a common occurrence. The local Lords took every opportunity to grab anything that was not nailed down and jealously protected what they had. When I was researching this episode, I found the following at http://www.barford.net/?page_id=83 from the same area only a few years later which may be of general interest about the constant attack on the commons. “One Wiltshire ancestor went to goal for what amounted to taking dead wood in a forest for heating and cooking”: some woodland was Commons. Much was privately owned. Your ancestor would have been stealing from the latter if he was not the owner, and stealing from the former if he was not a Commoner. If he was a Commoner of the wood then the likeliest way to commit a crime was to take excessive wood. One definition that was sometimes used was to say that Commoners could each take as much wood as they could carry but they were prohibited from using a cart. Because otherwise the richest cart-owning Commoners would take all the wood leaving nothing for their less prosperous neighbours. I didn’t think much of Dr Standing’s rant. He failed to distinguish clearly the ancient meaning of Forest from the modern meaning of forest, he failed to explain how the Commons were run. To say “confiscated seven million acres of commons …” without explaining how the Commoners were compensated is purest agitprop. Perhaps you could then be so kind to explain how the commoners were compensated. I have only skirted the subject so would describe myself as being largely ignorant of the facts. One incident however has always stuck in my head, this being a revolt in Northamptonshire that was organised around the time Shakespeare died, which led to the deemed suitable compensation of 40 killed & 3 apparent ringleaders being hung drawn & quartered. The Bard himself invested in enclosed land. The writer is discussing the Parliamentary Enclosures: “The enclosure act of 1845 was another mass landgrab, mocking the pretensions of private property rights.” Except that the Parliamentary Commissioners had to win the approval of a super-majority of the landowners involved before the enclosure could go ahead. So basically he’s seeking to mislead his readers. He’s also hiding the fact that the Enclosures were principally a rearrangement of property ownership among the existing owners, not a grab from someone else. Before enclosure, in about half of England the bulk of arable and meadow were cultivated in complex patterns of intermingled strips. Enclosure rearranged this into distinct fields which each separate landowner would now own, so he could cultivate each field as he wished instead of having to follow the pattern established by his fellow landowners. He would hedge or fence his field(s), hence presumably the word “enclosure”. He could turn his arable over to pasture or meadow – the choice was now his. Similarly his grazing land was now distinct and he could manage it to control breeding and hygiene or he could put it under the plough. The main action in the parliamentary Enclosures didn’t involve the Commons, it involved the swapping around of the multifarious strips to consolidate ownership into blocks of land that formed the farms that are familiar nowadays. Common rights were a set of private rights to use some land collectively, often for summer grazing, sometimes for wood collecting, the land itself belonging to the Lord of the Manor. The Lord’s rights to use the land were often modest e.g. the timber if any was his (as distinct from the underwood) and he would often own the mineral rights. A Commoner was a person who owned grazing rights on the common land of a manor, typically defined as the right to graze, say, x cattle and y geese from such-and-such a date in the Spring until so-and-so in the Autumn. “Between 1760 and 1870, over 4,000 acts of Parliament, instituted by a landowning elite, confiscated seven million acres of commons”: note that the Commoners hadn’t owned the Commons but they had owned the right to use it for valuable purposes. The compensation given to the Commoners was freehold land, if their common rights were valuable enough, or cash if they weren’t. There were practical problems: every Commoner wanted his new land to abut on the land he already cultivated especially if it was only a garden or croft behind his house. That wasn’t always easy to arrange. Still, he swapped a right encumbered with various restrictions for outright freehold possession of a parcel of land he could manage as he chose. The only group that unambiguously lost by enclosure were the squatters who were illegally living on the Commons and illegally grazing their animals there. One of the duties of the Parliamentary Commissioners was to establish which inhabitants of a village were Commoners and which weren’t. In much of England little or none of this happened because the mode of agriculture had been in separate fields anyway. Strip cultivation was rather a potty system; nobody seems to know when it grew up. Sometimes the residual rights of the Lord of the Manor had such little value that all trace was lost of who owned these rights. This happened, for example, in Cambridge: I assume the Town Council took on the job of convening the Manor Court. Anyway, the Cambridge example is the one I’ve read most about. By the 19th century the Commoners were complaining to the Council that non-Commoners were grazing their animals on the Commons; the Commoners wanted them ejected. The Council said that it had managed to lose all knowledge of who was a Commoner and who wasn’t. So it got a law passed that said that every inhabitant of the town became a Commoner. Of course, if every citizen had bunged a couple of cattle on the Commons the grazing would have been ruined. So the Council also arranged that for a citizen to graze cattle he’d have to buy a licence from the Council. So there you have it, the Council had effectively stolen the Commoners’ rights from them. I dare say that by that time the rights weren’t particularly valuable, but still it was effectively theft. It was a bit subtler than the old method by which a Abbott would have his scribes forge a deed to some land, but it was in the same spirit. “Landowners. ” Does not this exclude the commoners who were not “landowners”? Well whatever the intricacies of how it was actually done, it does appear to have caused widespread hardship leading to a large mass of landless & unemployed peasantry, not to mention the present situation of who owns the land & can therefore milk it. The main complaint as far as I have read was due to the turning over of land to sheep, which is obviously an improvement in terms of profit efficiency for the new owners – something apparently Shakespeare promised the peasants on the land he bought that he would not do. The same or a similar thing happened in the case of the Highland clearances which also caused major problems for the peasantry & by the time the English Revolution ( or Civil War as the revisionists prefer ) came along, England had a substantial group of what were the landless poor who basically wandered from town to town among the shattered remnants of an Elizabethan system that had largely been successful in caring for the poor. I suppose that the fact that early ramblers had to fight the landowners in order to gain the now established public access to the land is in itself a testimony to an earlier land grab & the fact that what was once common had evolved into becoing strictly private. If you believe that privatisation automatically means efficiency & improvement then let the robots affect a clearance of what little meaningful employment remains, but there will be massive social consequences as we are already seeing now & as happened before, which I believe is due to the lack of compensation or replacement of a means to survive from those whose much celebrated progress only truly enriches themselves. As the Marxist historian Brian Manning wrote, the world was only turned upside down when what was done to the poor also cut into a sufficient amount of who he referred to as the ” Middling sort of people ” . “The main complaint as far as I have read was due to the turning over of land to sheep”: that must be the Tudor enclosures you’re thinking of, not the 18th and 19th century Parliamentary Enclosures. Sometimes commons weren’t enclosed. You can still see cattle grazing the commons within the city of Cambridge. Or visit the New Forest to see large scale use for cattle and ponies and, in season, pigs. It would presumably have been better for the Commoners of Cambridge if the commons had been enclosed at a date when the Commoners were still identifiable; that way they’d presumably have got their compensation. It would be hard not to sympathise with the peasantry there, whose way of life was going to be overturned. I don’t remember reading anything about compensation for them. Here’s a WKPD account of some of the excitement. As well as the engineering challenges faced by the Adventurers, there was also opposition from those who judged that their livelihood was affected by the works. In 1631, a group of Adventurers led by Sir Anthony Thomas were authorised to drain the East Fen, the West Fen and the Wildmore Fen, to the north and west of Boston, Lincolnshire. They spent some £30,000 on the work, and received 16,300 acres (66 km2) of the drained land. They subsequently spent £20,000 on improvements and buildings, and the land generated some £8,000 per year in rent. The land had previously been extra-parochial, on which people from adjacent villages had grazing rights. After seven years, the Commoners rioted in 1642, breaking down the sluices, destroying crops, and demolishing houses. The Adventurers took their case to the House of Lords, who passed a bill for the “relief and security of the drainers”, but the House of Commons were less supportive, refusing to take sides. They ordered that the Sheriff and the local Justices of the Peace should act to prevent and suppress riots. The Commoners then took their grievances to court, and won. The outcome was that when the monarchy was restored in 1661, management of the Fens returned to the Court of Sewers, and remained in a poor state until the mid eighteenth century. This account makes me wonder whether the Parliamentary Enclosure system was introduced to try to avoid this sort of tumult and injustice. Ummm, not sure where to begin here. I do not think that you have a true understanding of what life was like for the average person in this era. There were precious commons left, by the way, as the local Lords had usurped the lot for their own private use. Try the book “Forgotten Labour: The Wiltshire Agricultural Worker and His Environment” by Avice R. Wilson as a start but perhaps I may give you a small data point. In that era, if you had no job, nothing, then you would have had to go to a Workhouse for charity. The documents that I have read state that they were set up to be as harsh and cruel as possible so that you would only go there if you had to. There was a rule of silence like in Alcatraz, husbands were separated from wives upon entry and children from their parents.Workers that were too old to work or injured ended up here. If you have any ancestry that was in the UK in the 19th century, you may find that you had distant relations in one of them. If you found yourself in court, which was a common experience, the local magistrate may have been your local priest who was likely the scion of a noble born family. Or more likely the local Lord. It was a stacked deck through and through. If there is one thing that genealogy teaches you it is social history and living in that era was brutal. It’s no use generalising about Olden Times. Be specific: where, when? “I do not think that you have a true understanding of what life was like for the average person in this era”: by definition, the poor sods at the bottom of society were not average. Anyway, what has that got to do with the question of whether your ancestor was a thief? A cousin owned a county poorhouse. His descendant considered it the family shame: inmates were fed only bread and water during the week. On Sunday, they had pinto beans, bread, and water. Poorhouses also housed old drunks, including my Confederate veteran great-great grandfather. Presumably they also domiciled the huge population of morphine addicts from both sides of the Civil War. Thanks for this, it resonates through the centuries right up to the moment. Something in there smacks of Marx or Anarcho Syndicalists. The aristocracy and the overly propertied wealthy are essentially highly organized armed thugs. You can collect firewood, pick fruit, hunt game, fish or really do anything you’d like for the most part, and it’s a fiefdom for all. I’m not going to defend, nor speak for the Right—-the Democras/Progressives can’t be all smug about being the defenders of the Magna Carta. Bill Clinton gutted the ‘commons’ of FDR-era telecommunications law when he signed the 1996 Telecommunications Act. Opening the door today’s when 4 media companies own the bulk infrastructure AND content. And this before we even talk about Google, Facebook, etc. Oh wait, that was Trump’s fault too. The electromagnetic spectrum is a great example of commons. And people wonder why the media offered Clinton near unanimous endorsements in 2016 and continue to support the Clinton narrative today. It might be tinfoil, but the few consolidated media giants left today have Bill to thank, and out leaves only a few favors for a well connected Clintonite to call. Thank you to Yves and readers, especially The Rev Kev. NC readers have often addressed this issue, especially Paul and Plutonium Kun. For an idea of how bad things are, I recommend Andy Wightman’s The Poor Had No Lawyers and Chris Bryant’s A Critical History Of The Aristocracy. Both, especially the former, address episodes similar to the appropriation by the Wilton estate, which still exists, and how such appropriations continue this century. The latter begins with how the phrase painting the town red came into being. Hey Colonel, do you know of any critical histories of the Charter of the Forest? I am having a hard time finding something like that. You give out a ton of book reccs, it’s a great service to the community. getting off-topic, but the author’s post takes the “mythic” spin of the Magna Carta—-the common folk triumphing over the elites. My understanding is that the Magna Carta was the 0.01% (the King) versus the 0.5% (his barons). The bottom 99.5% were background static. Not that wikipedia is an authority: The political myth of Magna Carta and its protection of ancient personal liberties persisted after the Glorious Revolution of 1688 until well into the 19th century…. .. the original 1215 charter had concerned the medieval relationship between the monarch and the barons, rather than the rights of ordinary people, but the charter remained a powerful, iconic document,…. When I was learning to fly, the Magna Carta proved quite valuable as a memory tool, as 121.5 is the aircraft emergency frequency. The Charter of the Forest was a companion piece to the Magna Carta or so Wiki says. Was not the Magna Carta a first foundation stone of a legal edifice begun by warlords to constrain the power of the king? A king whose ancestors had recently consolidated power on an island whose Gaelic Celtic inhabitants had for the past few hundred years been under siege by various interlopers including Vikings, Germanic people and of course the Normans. Oh well, and before that the Romans. The resulting beneficial effect to the common people was greatly delayed and probably always involved a contentious struggle. To date the edifice is far more extensive and complex and it is unclear whose power it constrains and what is protected. Hobbes, the Greeks, Rousseau, Locke, Buonarroti, Babeuf and a host have provided useful commentary. Most of the rights the Barons extorted from the King were extended to the residents on their estates. Andy Wightman, like Craig Murray, is being attacked through the ridiculous libel gravy train at this time. Both are facing bankruptcy (reflecting how little things have changed from the title of his book)if their defence fails and both are worthy of your support. Btw, if these revelations are the substance of complaint it would be slander not libel so perhaps there is something else??? I forgot to add that Professor Standing is a regular on RT and used to work at the International Labour Office, where, alongside Heiner Flassbeck, he produced some excellent critiques of neo-liberalism, much better than what the Bretton Woods institutions produce, although Olivier Blanchard was trying to turn things around in DC. Standing thinks that, if things continue as they are in the west, there will be major civil disorder. In continental Europe, there are also some interesting laws stemming from old commons – for example, parts of the old Austrian empire have the right-to-roam (as does quite a few Scandinavians and Swiss), often including the right to forage (although not right to hunt). 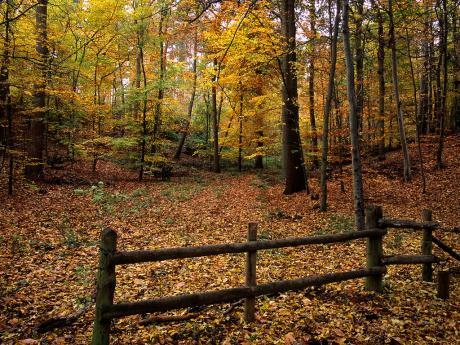 For example, in the Czech republic it’s unlawful to put a fence around a forest (doesn’t matter whether publicly or privately owned), with only a few specific exceptions (like military areas, animals breeding grounds etc.). I don’t know, but will ask around and let you via Yves. You could contact Andy Wightman, Brian Wilson and George Monbiot directly. The second link in Guy Standing’s article refers to a 19th century survey of land ownership commissioned by the Earl of Derby, himself and, to this day, his descendants major landowners around Liverpool and Newmarket, in 1870 and published by John Bateman in 1872 and 1883. The book is online, served as material for Chris Bryant’s recent critique of the aristocracy and can be found at https://ia800302.us.archive.org/4/items/greatlandownerso00bateuoft/greatlandownerso00bateuoft.pdf. Thank you Colonel and other NC readers, a timely reminder, if ever we need one about how possession and the power to enforce it remain dominant today, with great parts of London still ‘owned’ by some rich cs. My most recent ancestors came from Ireland and Scotland and scratched a living on the docks in Liverpool, before taking the 10 pound Pom route. And here we are, my parents following in the mid 70s (just after the Dismissal). btw, the ref to the Tories repealing the charter – any background to that decision? Interesting to consider the free-market neoliberals are now in process of enclosing the markets in multiple ways, sort of enclosing capitalism (small ‘c’). Of course the Commoners’ rights were sometimes stolen – such is human nature. The Commoners on the Common nearest to me had their rights stolen in the 19th century. But not by ‘orrible aristocrats; it was the Town Council wot dunnit. As for sewage in the rivers; spare me! Before water privatisation it was public regional water authorities (RWAs) that were responsible for the cleanliness of the rivers and also responsible for the sewage works. They frequently polluted the former by mismanagement of the latter. Unsurprisingly they were loath to sue themselves so the rivers were pretty filthy. When water was privatised ownership of the sewers and sewage plants passed to the companies and regulation of cleanliness passed to a governmental entity, the National Rivers Authority. The consequence is that our rivers are now far, far cleaner than they were before privatisation. To disguise these facts seems rather, ahem, unscholarly to me. So, when govt entity regulates cleanliness then waters are cleaner… and that means privatization is good… ? So privatization is good because govt regulators? One of the many reasons privatisation was good was because it separated the polluting function, as a consequence of owning the sewerage, from the policing function. Most people think that having an independent public policing function is a good idea: don’t you? The point, in case you somehow missed it, was that the original author had gone out of his way to mislead you on this point: our rivers are far cleaner. Hurray! The evolution of the Magna Carta, the Bill of Rights, was cancelled by “constitutional scholar” Obama when he signed the National Defense Authorization Act which cancels habeus corpus to allow indefinite military detention of Americans, in America. Those interested in this topic should check out historian Peter Linebaugh’s 2008 book The Magna Carta Manifesto. The Charter of the Forest and its latter supression was a revelation to me when I first read his book. The Bad Guys, “The Right” vs the Good Guys, “The Left”, is a Hollywood, Old West construct. It has been meticulously fabricated in order to encourage the people to keep chasing their own tails. Left/Right is a Fake Political Science cliché, based on 228 year old French seating arrangements. It signifies nothing (except maximum confusion and endless discord). However, “Left/Right” does simplify automatic news reporting by the binary circuits of Artificial Intelligence. Our modest efforts will not only emphasi[z]e environmental principles enshrined in the Charter, but also its subversive commitment to the right to subsistence that underpins the basic income movement of today. If the general public were primarily or in significant part directly/immediately dependent on their local/regional commons for subsistence, the population would be more sensitive, through direct feedback, to environmental impacts on those commons, and also to the effects of the populations own size. Basic income, in contrast, further separates populations from interaction with, and sensitivities to, the sources of their essential needs. The fetish for tweaks like basic income is yet another case of technocratic hyper-abstraction, (as pretty specifically observed in Jeri-Lynn’s piece on India today). “We’ll do *this* to fix *that*” has to take the *that* in its full context, to at least attempt to anticipate collateral an non-linear effects. Stellar article btw, my quibbles on future strategies notwithstanding. The title sounds like the first line of a song. Maybe Broadway could write a musical to get people excited about the notion of the Commons again. First I have ever heard of it and I was said to have received a quality liberal education in the golden years after WWII. Thank you for publishing this NC. I have circulated the link to many friends whose education was possibly equally deficient. As you say ‘the land ownership structure in UK is the result of organised theft.’ There is no likelihood of the Tories ever reversing that injustice as it was their constituents who obtained the enclosure laws, etc., that facilitated the crime but might that fine man Jeremy Corbyn be willing to reverse them? In fact the whole subject of ‘ownership’ of land is one that requires logical analysis. Land after all goes on for ever while people come and go constantly. We have a mechanism for transferring assets by wills and testaments which may be fair enough for manufactures but should not extend to land. NC has recently been revisiting the thoughts of Henry George and one of his proposals suggested revising land ownership into stake-holding like the gold miners of California and the Yukon – use it or lose it. Now there’s a subject that I dare say would attract comment.